There are certain statements we find in the Bible that have a funny way of constantly illustrating themselves in day to day life. In today’s SRL File under “Truer Words Were Never Spoken” consider this observation from the book of Isaiah. The illustration of this timeless truth? Allow me to introduce you to an amazing portrait in courage that may have escaped your notice. At first glance, she seems like an unlikely candidate to be anyone’s hero. Unless, of course you were a Jewish child in Nazi occupied Poland. During the World War II German occupation of Poland, Sendler lived in Warsaw (prior to that, she lived in Otwock and Tarczyn) while working for urban Social Welfare Departments. As early as 1939, when the Germans invaded Poland, she began helping Jews by offering them food and shelter. Irena and her helpers created over 3,000 false documents to help Jewish families, prior to joining the organized resistance of Żegota and the children’s division. Helping Jews was very risky—in German-occupied Poland, all household members risked a death sentence if they were found to be hiding any Jews. This punishment was more severe than those applied in other occupied European countries. In December 1942, the newly created Children’s Section of the Żegota (Council for Aid to Jews), nominated her (under her cover name Jolanta) to head its children’s department. As an employee of the Social Welfare Department, she had a special permit to enter the Warsaw Ghetto, to check for signs of typhus, something the Nazis feared would spread beyond the ghetto. During the visits, she wore a Star of David as a sign of solidarity with the Jewish people and so as not to call attention to herself. She organized the smuggling of Jewish children from the Ghetto, carrying them out in boxes, suitcases and trolleys. Under the pretext of conducting inspections of sanitary conditions during a typhoid outbreak, Sendler visited the ghetto and smuggled out babies and small children in ambulances and trams, sometimes disguising them as packages. She also used the old courthouse of the edge of the Warsaw Ghetto (still standing) as one of the main routes of smuggling children out. The children were placed with Polish families. She hid lists of their names in jars, in order to keep track of their original and new identities. Żegota assured the children that, when the war was over, they must be returned to Jewish relatives. But this remarkable track record of self sacrifice and compassion is not the only thing that makes Irena Sendler noteworthy. Did you know she was also the runner up for the 2007 Nobel Peace Prize? Well, whoever won must have really suffered – really stood up against tyranny and oppression – at the pain of death, right? The winner of the 2007 Nobel Peace Prize was former vice president Al Gore. The Nobel Prize committee evidently felt that producing a movie was of greater value than saving children. If we do what is right, at great personal sacrifice, don’t expect the powers that be to sit up and take notice. But never forget that God is watching. Irena Sendler passed away on May 12, 2008. And if there was ever a person who embodied the words “she went to her reward” it was Irena. The personal impact of this story is easy to see. Sooner or later we will go through times in our life when we feel unappreciated, maybe even ignored. We wonder if we were gone tomorrow, who would notice, or even care. But when we decide that whatever we do, we are doing it because we love the Lord, no one can rob us of that reward. There is no doubt that Irena is far more pleased with the reward she has received from our Savior, than for anything she could have received from a committee in Stockholm. May God give us the wisdom to live for the prize that will never fade away! Virtually every significant event that takes place in this world either concerns this seemingly small nation, or inevitably drags Israel into the middle of the dust up. It looks like Russia’s recent foray into Georgia is no exception. Russian security officials threatened retaliation against Israel for its weapons exports to Georgia including eight different aerial drones. Russian Deputy Chief of Staff Col. Gen. Anatoly Nogovitsyn said Israel supplied at least eight different models of unmanned aerial vehicles (UAVs) to Georgia. Nogovitsyn said Israel has also sold a range of weapons and sought to export main battle tanks to Georgia. Russian diplomatic sources said the government of Prime Minister Vladimir Putin was furious over Israel’s refusal to impose a military embargo on Georgia. The sources said Putin’s aides had urged Israel several times to halt weapons exports. “We asked Israel not to sell offensive weapons to a hostile neighboring state, but they said they’re a sovereign state,” a diplomatic source said. Already, Russia, in wake of its military victory over Georgia, has scheduled a summit with Syria to discuss offensive weapons sales, the sources said. Syrian President Bashar Assad was scheduled to meet Putin in Moscow on Aug. 20. Tbilisi has asserted that Israel continued to ship weapons and platforms to Georgia throughout the Russian war. But Georgian President Mikheil Saakashvili reported delays in the supply of Israeli unmanned aerial vehicles to his country. “The Israeli weapons have proved very effective,” Saakashvili told a news conference on Aug. 13. So far, the diplomatic sources said, Putin has been careful to limit Russian military sales to Iran and Syria to defensive systems. In 2007, they said, Putin, who remains in charge of defense export policy, vetoed efforts by the Defense Ministry and the state-owned arms agency Rosoboronexport to sell the Iskander-E long-range rocket to Syria. The prospect of another war between Israel and the Iranian backed terrorists of Hezbollah is considered a question not of “if” but “when” in Jerusalem. But a conflict with Syria, emboldened by an influx of Russian ballistic missile technology, may also be prophetically significant. Which lie down, and no one will make them afraid. And the fatness of his flesh grow lean. This prediction indicates that Israel and Syria will go to war. The Syrian capitol, Damascus will “cease from being a city”. Israel, in turn, will experience a time of physical decay and a serious time of famine. These predictions could indicate an exchange initiated by a chemical or biological attack from Syria. This would not only affect the health of the general population, but also render unprotected food supplies unusuable. The reception of cutting edge Russian missile technology by a card carrying member of the original “Axis of Evil” could make the bombardment of Northern Israel by Hezbollah look like a walk in the park. Israel would not hesitate to respond with its nuclear arsenal under these circumstances. It is interesting to note that Syria will not be a part of the invading coalition of nations mentioned in Ezekiel 38-39. Are we seeing the pieces of the puzzle coming together for this predicted conflict? When most Americans hear about a conflict in Georgia they think of something that happened during the Civil War. But just as the events of 9/11 gave all of us a crash course in the geography of the Middle East, so the next few weeks will transform exotic places like South Ossetia and Abkhazia from obscurity to front and center in our consciousness. Both provinces of South Ossetia and Abkhazia have run their own affairs without international recognition since fighting to split from Georgia in the early 1990, and both have close ties with Moscow. When Georgia began its offensive to regain control over South Ossetia, the Russian response was swift and overpowering — thousands of troops and tanks poured in. http://news.yahoo.com/s/ap/20080811/ap_on_re_eu/georgia_south_ossetiaNow it appears that despite nearly world wide condemnation of the incursion, there is little chance of the Russians leaving until democratically elected president Mikheil Saakashvilli has been deposed and replaced by a pro-Russian puppet. Georgia had courted the anger of the Putin regieme by being decidedly pro-American in its foreign policy, going so far as to make an appeal to formally join NATO. Now the Georgian people are paying the price. When the Berlin Wall came down, many declared that the days of conflict between Russia and the West were over. 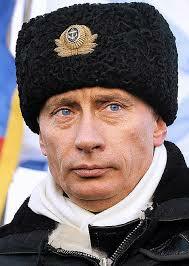 But the rise to power of former KGB head Vladimir Putin seems to have brought back those “bad old days”. While a war in Georgia and South Osettia might seem insignificant to most, some are pointing out a previous significant conflict began in a similarly obscure corner of the world. On August 7, 2008, Vladimir Putin’s armies marched into South Ossetia, a part of Georgia. Russia said it was responding to separatist demands from the large Russian population that lived there and that she was merely honoring their desire for reunion with Russia. Putin’s tanks took over a vital part of an independent country that had largely rejected his overtures and allied itself with the West. Neither Britain nor France nor the United States did a thing to stop him.Encouraged by his occupation of Sudetenland, Hitler continued his designs on Czechoslovakia itself and invaded the rest of the nation a few months later. The Bible predicts that Russia will be the major organizer of a Last Days invasion of Israel. Ezekiel 38-39 tells us that the coalition will include Moslem nations such as Iran, Turkey, Libya and Sudan. If you are a regular reader of Scott’s Blog, you know that we pointed out that Russia’s desire to expand her influence has not waned. Putin knows he cannot expand westward, due to the presence of NATO. He cannot expand eastward due to the rise of China. This leaves one limited avenue – to the south. The painfully obtained truce with the Muslim terrorists of Chechnya has driven Russia into an alliance with the mad mullahs of Iran. But conveniently enough, Georgia’s population is around 89% Orthodox Christian. Putin knows that America and the West will not be willing to go to war over Georgia. And this invasion will not bother Russia’s restive Islamic neighbors one bit. It will also place the Russians that much closer to having a stranglehold on the major oil pipelines from Central Asia. It will also be one step closer to having a perfect staging area for the predicted Gog and Magog invasion. Jesus told us that one of the key birth pains that would herald the time of his return would be “wars and rumors of wars” (Matthew 24:6).The situation in Georgia certainly fits that description on both counts. Now that the dust has started to settle in the crisis situation in Georgia, questions are starting to be asked about this brutal incursion. What possible good can the U.N do in a crisis when it is perpetrated by the savage actions of one its permanent Security Council members? In order for the U.N to impose meaningful military actions or even economic sanctions, a unanimous vote must be passed by the Security Council. In case you are keeping score at home, Russia would have to vote for such actions against herself. The chances of this happening? What does this action mean for the immediate future? Those nations who are trying to develop democracy or engage in friendly relations with the West are having a classic Maalox Moment. Democratically elected president Mikheil Saakashvilli was nearly blown up by a Russian bombing run over a non militarized neighborhood yesterday. Flush with petro dollars generated from the recent oil price surge, the Russian Bear appears to be back in the business of imposing its will on its neighbors. But the most serious question this exercise in adventurism raises is this – Who is the world dealing with in the person of Vladimir Putin? 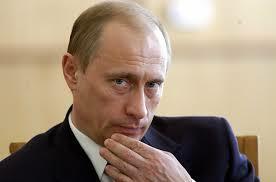 George W. Bush famously stated that he looked Putin in the eyes and saw a man he could deal with. John McCain stated that he looked Putin in the eyes and saw the letters KGB. Interestingly today, the Wall Street Journal weighed in with another take. The farther Russia’s tanks roll into Georgia, the more the world is beginning to see the reality of Vladimir Putin’s Napoleonic ambitions. Having consolidated his authoritarian transition as Prime Minister with a figurehead President, Mr. Putin is now pushing to reassert Russian dominance in Eurasia. Ukraine is in his sights, and even the Baltic states could be threatened if he’s allowed to get away with it. The West needs to draw a line at Georgia. No matter who fired the first shot last week in the breakaway Georgian region of South Ossetia, Moscow is using the separatist issue as an excuse to demolish Georgia’s military and, if possible, depose its democratically elected government. Russian forces moved ever deeper into Georgia proper Monday. They launched a second front in the west from another breakaway province, Abkhazia, and took the central city of Gori, which lies 40 miles from the Georgian capital of Tbilisi. These moves slice the country in half and isolate its ports, most of which Russia has bombed or blockaded. Moscow dismissed a cease-fire drawn up by European nations and signed by Georgia. Russian bombers have also hit residential and industrial areas, making a mockery of Moscow’s charge that Georgia is the party indiscriminately killing civilians. Russian claims of Georgian ethnic cleansing now look like well-rehearsed propaganda lines to justify a well-prepared invasion. Thousands of soldiers and hundreds of tanks, ships and warplanes were waiting for Mr. Putin’s command. As we have pointed out, the only viable channels for Putin’s expansionist ambitions lie to the south. His Faustian alliance with Iran that has bought him peace with radical Islamists like the Chechens leave him with the limited options of imposing his will on non Muslim states like Georgia. Or perhaps, on nations that the Muslim world would find worthy of attack. Ezekiel 38 tells us of a future leader from the uttermost North who will find himself dragged by the jaws into a Last Days invasion of Israel. It is certainly too soon to say that Putin will be this man. But there is no doubt that his policies are moving not only his nation, but the entire region into remarkable harmony with Ezekiel’s prophecy. Save the Planet- Save Your Marriage? 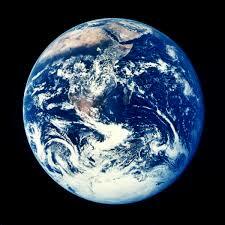 By now most of us are very much aware of the controversy surrounding the dangers of man made global warming. If we are to save the planet, we are told we must cut back on the amount of carbon dioxide we pump into the atmosphere. But what if we find ourselves driving a greenhouse gas belching SUV to catch a private jet that will leave behind a carbon footprint of Sasquatch-like proportions? We can actually pay a company to not drive a SUV and not take a private jet ride and so “off set” the damage done to the ecosystem. All the benefits of an ecologically irresponsible lifestyle – with none of the guilt! Now, some enterprising internet entrepreneurs have taken this same concept and applied it, well, closer to home. It’s called CheatNeutral.com and it applies the same tortured logic of global warmism to your own personal relationships! First you should look at ways of reducing your cheating. Once you’ve done this you can use Cheatneutral to offset the remaining, unavoidable cheating. So far, cheatneutral has offset 65, 768 cheats and has 9002 faithful people ready to neutralise your misdemeanours. As bizarre as all this sounds, would it surprise you to learn that it has all been tried before? It was called “buying indulgences”. Believe it or not, there was a time in the history of Christendom where you could be “pre-forgiven” for a future planned sin by making a hefty donation to the church. This thoroughly unbiblical concept was so morally reprehensible that it became one of the deal breakers that lead to the Protestant Reformation. But this idea of “offsetting” sin is still alive and kicking. Many believe that reading a chapter in the Bible, or putting something in the offering, or teaching a Bible study can make up for a mean streak or a moral failure. And as much as we would like to think there are “offsets” for our sins, God isn’t buying it. God isn’t interested in gestures or hand outs. When we foul our own spiritual environment He is looking at the heart. God isn’t into game playing. But He will give His grace to those who come to Him in sincerity and truth. If you are a regular reader of Scott’s Blog you know that we are not subtle about pointing to Israel as a key to understanding the signs of the times. A major event with both political and potentially prophetic implications is detailed today at Joel Rosenberg’s Flash Traffic Blog. Israeli Prime Minister Ehud Olmert will resign his office on or about September 17th. Suffering single digit approval ratings and haunted by numerous on-going corruption investigations, the Prime Minister just announced on national television that he will step down after the Kadima party primaries scheduled. It’s not clear yet when new elections will be held. Former Israeli Prime Minister Benjamin “Bibi” Netanyahu is currently well ahead of all contenders to replace Olmert, but Israeli politics are Byzantine, to say the least, and anything could happen. Israel’s political crisis could not come at a worse time, with the real threat of war with Iran growing daily. The fall of Ehud Olmert from power is not surprising from a biblical point of view. Olmert early on adopted a peace at any price approach to crucial issues like the fate of Jerusalem. Word had leaked that he was pursuing a deal with Palestinian Fatah party head Mahmoud Abbas that would have ceeded control of the Temple Mount to the Arabs. Since the Bible makes it clear that the Temple will be rebuilt on its historic site, such a ploy was doomed to failure. It is also clear that God takes a very dim view of those who play fast and loose with His land.